Gladys Knight's time at Motown still had a few years left and she was going to carry on putting out solid, quality soulful albums. The title track is an excellent, bassy piece of slow-burning soul. Some great stereo sound and percussion ushers in a muscular cover of Traffic's "Feelin' Alright". Great piano break near the end too. "One Less Bell To Answer" is another cover, from The Fifth Dimension, but it is done so soulfully, with Gladys's vocal on top form, that you feel it is her own song. Covers of The Beatles "Let It Be" are not always what one needs, but in the hands (and voice) of Gladys you simply can't go wrong. It is superb. 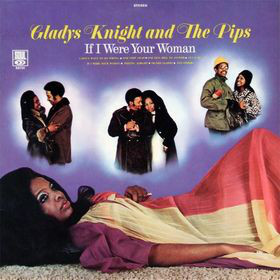 "I Don't Want To Do Wrong" is one of those typical Gladys soulful ballads. The bass is outstanding on it as well. That and the title track were the two big soul singles that made this a popular album. "One Step Away" is horn-driven, Gladys soul-by-numbers. She can handle songs like this in her sleep. You can pretty much say the same for the rest of the numbers on the album. 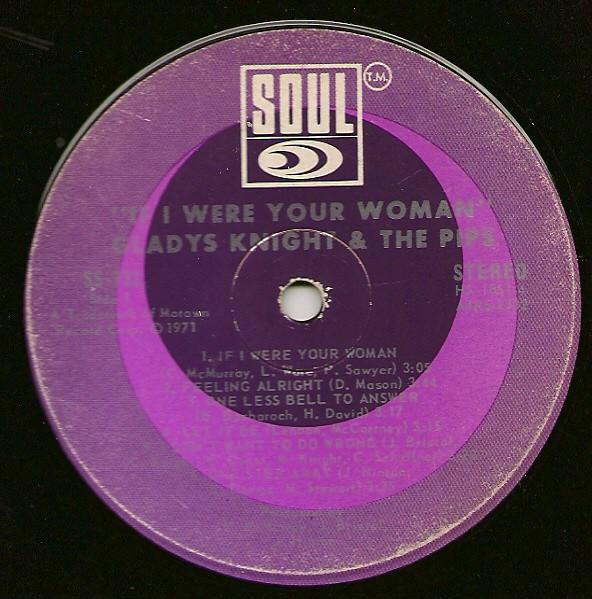 They don't really need analysis, other than that the class of Gladys, her Pips and her quality Motown backing band raises standard soul songs to a higher grade than maybe they are. "How Can You Say That Ain't Love" shows that Gladys can handle faster material as well. It is one of the better of the second side of songs. Check out her voice on "Everybody Is A Star" too. It is a nice album, I have to say, and the sound quality is excellent.